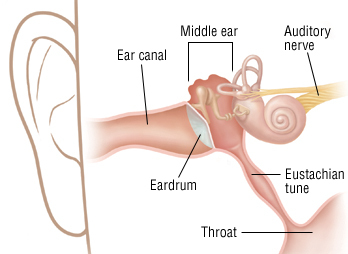 Otitis externa is an infection of the ear canal caused by bacteria or fungi. It often is called swimmer's ear because it is associated with frequent swimming. Prolonged exposure to water, which may contain certain bacteria, makes the skin of the ear canal swollen and more likely to get infected. Summer humidity also changes the skin of the ear canal, increasing the possibility of infection.